The most important thing to keep in mind is that the nightly price should not be a fixed price. We should not tell ourselves “My property costs €100/per night” and end the discussion. It is important for us to be effective and take out the best of our property. 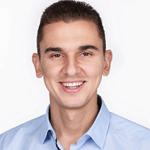 Thus, our pricing should be dynamic – to vary based on the supply and demand in a given period of time. The dynamic price should not be confused with the option in Airbnb for “Smart Pricing”. In this option, we determine the minimum nightly price and the maximum nightly price we would like to earn. For example, we determine a price range from €80 to €160 per night. Then, Airbnb optimizes the prices, based on the demand in every single moment, supposedly trying to sell our property in our interest. In reality, the minimum nightly price is being sold and this is not in our interest. 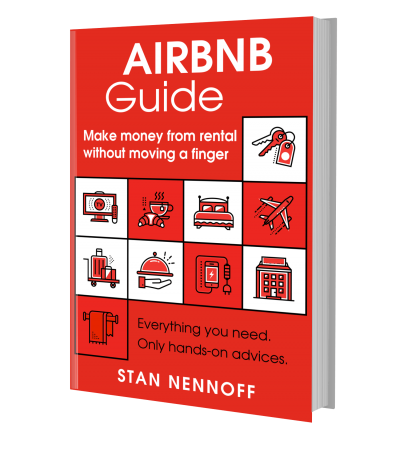 It is important for Airbnb to make quick transactions (deals) between travelers and hosts. The choice between getting an instant 17% commission from €80 (that equals €13.60) or getting a 17% from €100 (that equals €17) is taken in favor of the quick deal for €80. It is a matter of €4.60 and they prefer that deal, since they have thousands of other properties in their system, earning them money. However, on our side is €20 and this makes a difference for us, especially when compounded an annual basis. My semi-automatic algorithm is far more profitable for us (read more about it below). The option “Smart Pricing” in Airbnb should be turned off. The second thing we should keep in mind for pricing is that it takes time for the property to settle in Airbnb and grow its potential. Depending on the location, on the apartment and our luck as well, this might take between 3 to 8 months, even a year. At the beginning, we should start with lower prices, in order to be competitive with the other properties that are just as good as ours, but have many 5-star reviews. If we sell our property at the same prices, the guest would not take the risk with a new property, a new host and no reviews. The guest will simply chose a property with the same price, but with reviews. Thus, our apartment won’t perform wel. That is why we should motivate the guest to book with us – by giving a lower price than our competition. At the beginning, we sell at lower prices, collect positive reviews and raise our property’s rating in Airbnb. In this case, when searching for an Airbnb apartment in London, our property will slowly start ranking at higher positions in the Airbnb search results. If everything goes as planned, we will become masters of our region, even of our city, and our place will be booked for weeks ahead. This what we are aiming for and what we will accomplish if we follow the principles in the book. How does Airbnb’s pricing works? 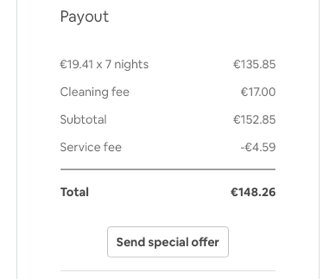 (Number of nights x price/night) + Cleaning fee = the price of the booking. 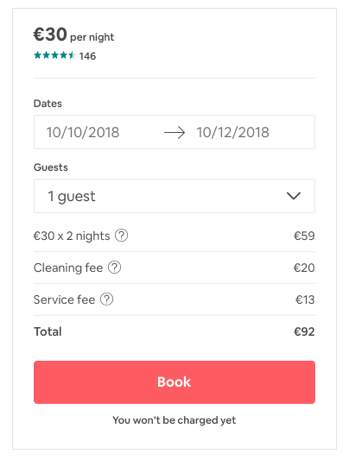 On this price, Airbnb charges a % commission from the guest, and from the amount due to the host, charges another % commission. Airbnb charges the guest with a 17% commission, and us (the hosts) – with a 3%. This equals 20% commission for the deal between the guest and the host. The business is good! FIGURE 12: Guest’s bill before completing the booking. The service fee is Airbnb’s commission the guest is paying. In this particular case, this is 17% commission on the nightly price + cleaning fee. FIGURE 13: This is how the bill looks like on our side (as hosts). The service fee is what Airbnb charges us as a commission prior to paying us. The commission is 3%.